The Provoxweb site is under revision and most of the content has been updated and moved to the five flipbooks below. The remaining topics in the menu above, i.e. Speech Therapy in the Voice-Rehab section, and Pulmonary Rehabilitation, will be updated and moved to flipbooks, as well. 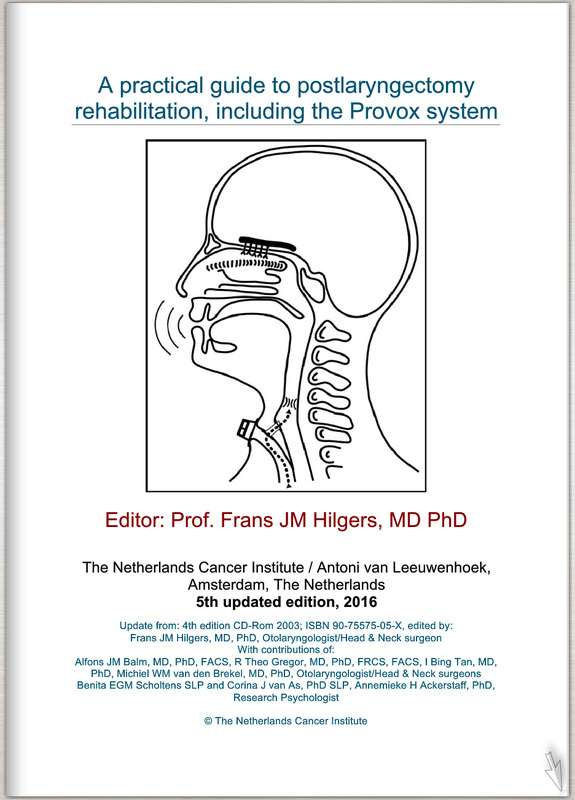 "A practical guide to postlaryngectomy rehabilitation, including the Provox system", the base for this educational website, is under revision. Here you can find the updated 5th edition in flipbook format, containing the main chapters on voice rehabilitation with all video material embedded and readily available for viewing. Clicking on the image above will open the flipbook in a separate window. Maneuvering back and forth through the flipbook is quite intuitive with the buttons on top of the window and the links all through the text. All material is freely downloadable and can be printed locally. 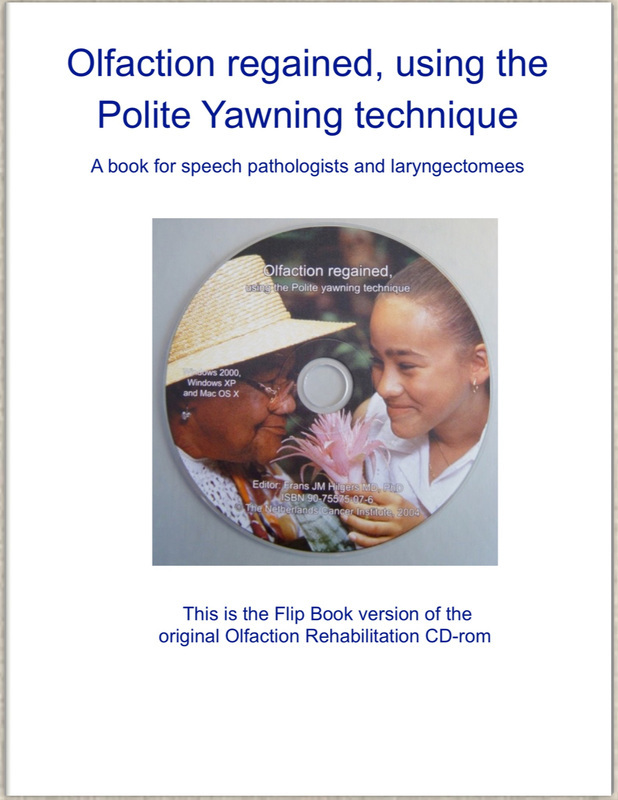 The CD “Olfaction regained, using the polite yawning technique; a manual for speech pathologists” is also available in flipbook format. Clicking on the image above will open the flipbook in a separate window. There are 24 instructional videos embedded for direct viewing. And there are several useful forms and a separate brochure for patients available to support the rehabilitation process. All material is freely downloadable and can be printed locally. Successful rehabilitation of the sense of smell has been shown to be a major contributor to quality of life of laryngectomized individuals, very much worth the relative low effort and costs.